Prime Minister Narendra Modi today announced the launch of an Android mobile app. “Launched ‘Narendra Modi Mobile App’. Come, lets stay connected on the mobile! The Mobile App has several innovative features. You can download it from Play Store. Feedback is welcome,” Modi tweeted. The Android-based application has been developed with the aim to easing communication between the Prime Minister’s Office and the people of the country. The application description said, “download the app and get the latest updates anywhere, anytime! 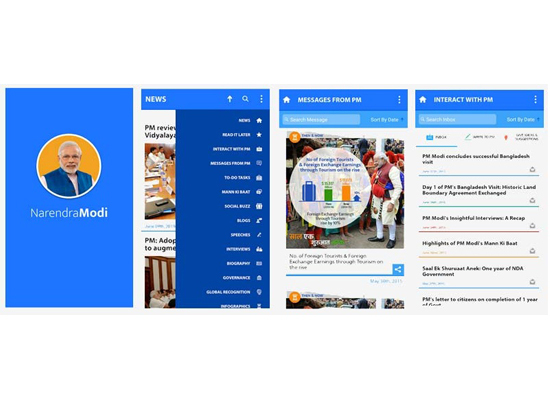 Highlights of the Narendra Modi app include receiving the latest news and updates, exclusive opportunity to receive E-Mails & Messages directly from the PM and ‘Mann Ki Baat’ with the PM.” It further said, 'Small tasks, big satisfaction: contribute & earn badges through to-do tasks."